Bruce Campbell chaired the NICE Interventional Procedures Advisory Committee 2002-15 and the NICE Medical Technologies Advisory Committee 2009-15. He chaired the Therapeutic Procedures Panel of the Health Technology Assessment Programme 2000-8. He is a now a Non-Executive Director of the Medicines and Healthcare products Regulatory Agency (MHRA). 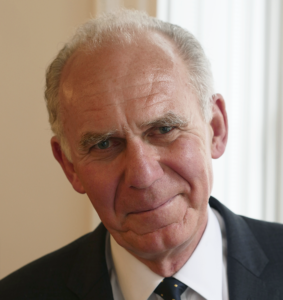 Professor Campbell was Consultant Vascular Surgeon in Exeter 1986-2015 (now Honorary Vascular Consultant) and is Honorary Professor at the University of Exeter Medical School. He has been Honorary Secretary of the Vascular Society; chaired its Professional Standards and other committees; and led initiatives for vascular service reorganisation. Bruce has published and lectured extensively on vascular subjects and on health technology assessment. He has longstanding involvement with the IDEAL framework for research into new procedures and medical devices.